The Philadelphia Orchestra calls on Eagles fans to submit their best E-A-G-L-E-S chants for a chance to conduct the Orchestra onstage. E-A-G-L-E-S — Can you chant the "Eagles Victory Song" well enough to conduct the Philadelphia Orchestra on stage? Gearing up for Super Bowl LII, the orchestra has announced a contest calling all Eagles fans to submit their best Eagles chant for a chance to conduct the orchestra publicly. The winner, chosen randomly, will guide the orchestra in its rendition of the "Eagles Victory Song" during the scheduled 8 p.m. performance on Feb. 3 at Verizon Hall. The orchestra recorded its own version of the Eagles fight song after the Birds clinched their playoffs bid in December. To enter, each fan must submit a 30-second-or-less video demonstrating why he or she is the city's No.1 Eagles devotee, inclusive of a loud and strong, champion-level E-A-G-L-E-S chant. Entries are to be posted on one of the orchestra's three social media accounts. To post by Facebook, fans should comment on the contest post on the orchestra's Facebook timeline. Instagram users should upload videos to their own feed and use the hashtag #FlyPhilOrchFly. For those opting to submit via Twitter, videos should be uploaded in a personal tweet that includes the hashtag #FlyPhilOrchFly. The winner will be selected at noon Feb. 1. Find details online at philorch.org. Along with the opportunity to conduct the orchestra, the winner will receive four tickets to the Philadelphia Orchestra's Feb. 3 evening performance. In preparation for the performance, the winner gets a brief conducting lesson. The "Eagles Victory Song" has a long history dating to the 1950s, when it used to lead off with the line "Fight, Eagles Fight." 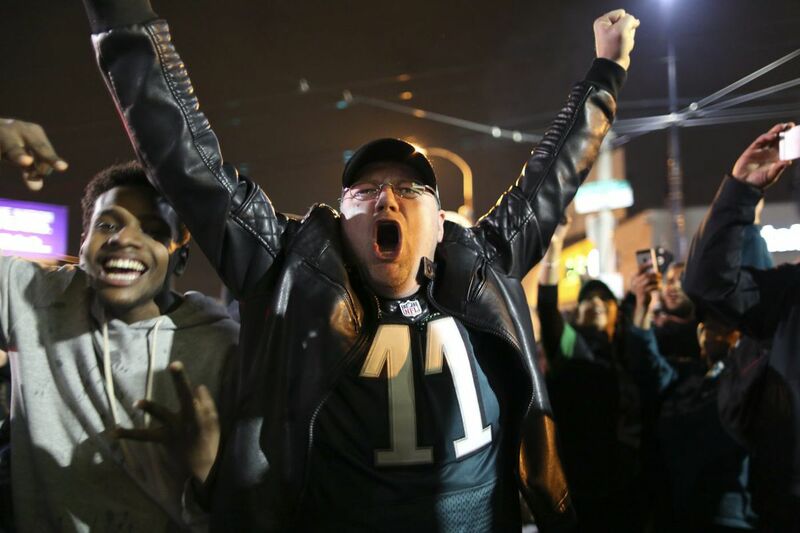 Philadelphia admen Charles J. Borrelli and Roger Courtland are credited with the creation of the original anthem, which has since been covered by everyone from the Roots to the orchestra to many, many Eagles fans. The Philadelphia Orchestra wishes all entrants luck "On the road to victory!"